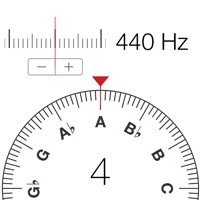 Professional Chromatic tuner with Tone generator. 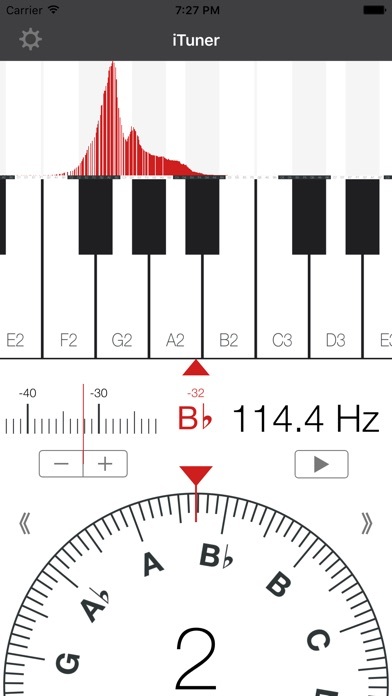 Tune Guitar, Piano, Violin with a Digital Tuner - High Accuracy ( > 0.01 semitone) - Tuning forks (20 - 20 000 Hz) - Frequency meter - Spectrum FFT - Use for Voice training Guitar Tuning - recommended Press all next strings Piano Tuning - for octaves 0,1,2 need use external mic. 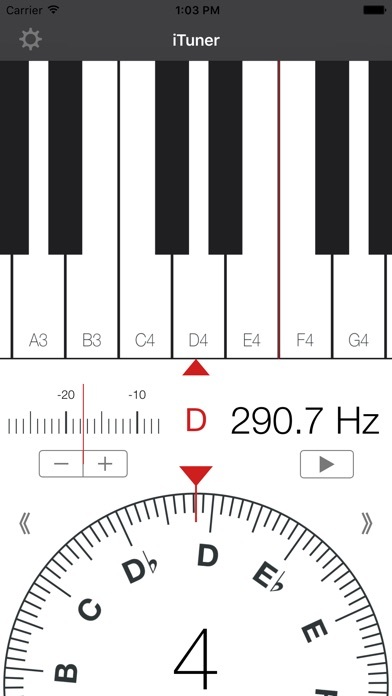 I purchased the app for piano tuning and it doesn't do anything! Worst 2 dollars I have paid in my life! I agree with the other review on here.. "limited to 2 octaves" and confusing to use. For two dollars you can unlock 0-8 octaves. Limited to 2 octaves. Those don't track right. Don't waste your time. Keeps locking up, and does not work for the few seconds it doesn't lock up. Deleting this app...no directions on use and doesn't work!!! Every term crashes no matter what..! This is by far the worst tuner I've ever use in my 30 plus years as a professional musician, is a worthless useless piece of... app. Don't waste your money and time on this, keeps crashing all the time, can't even tune a single string without it crashing😡 it's so aggravating. It doesn't even deserve a single star. I WANT MY MONEY BACK!!! Can't keep app open for more than 10 sec. keeps crashing. On an iPhone 6s Plus. Whenever I try to use the app it shuts down. I don't want to pay $300 for tune labs pro, but I'm completely shocked there's no decent competitor out there. No instructions, does not work. Save your money.